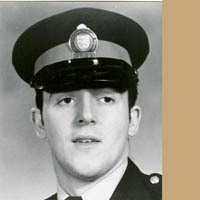 On September 15, 1978, Constable Henry Harry Snedden was responding to a call regarding a neighbour dispute. As he attempted to arrest a suspect, a struggle ensued. The suspect took possession of the officer's revolver and fired a single shot, hitting Constable Snedden in the chest. Constable Snedden died before reaching hospital.